• Remove the cluster and open it. 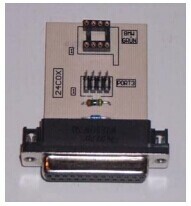 • Look for the 8 pin chip 24C08. • Connect the clip to Port 3. • Put the clip on the chip 24C08 (red on pin 1). • The Tacho Universal shows you the old value. • Select the menu Adjust KM. • Verify the new value with OK. This entry was posted in Programmeur de mileage, Soutien technique, Tacho Pro 2008 and tagged french obd tool, screen scanner, tacho pro u2008, universal odometer correction tool on January 25, 2016 by sales. “Ok” means the car model successfully changed mileage by V4.94 Digiprog III Digiprog3 Odometer Master. Digiprog 3 can not do some Golf 6 and Polo Dash by obd. 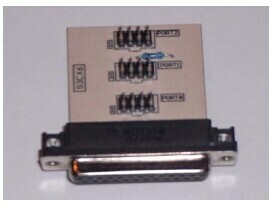 Digiprog 3 can do only VDO dash Golf 6 by obd, not Magneti Marelli. This entry was posted in Digiprog 3, Programmeur de mileage, Soutien technique and tagged digiprog3, french obd tool, screen scanner, universal odometer correction tool on January 18, 2016 by sales. 2. Look on the rear for a small plastic cover. Under it you can see a brown, blue or green code plug. You have to break this cover to get the code plug out. 3. Take the code plug out. 4. 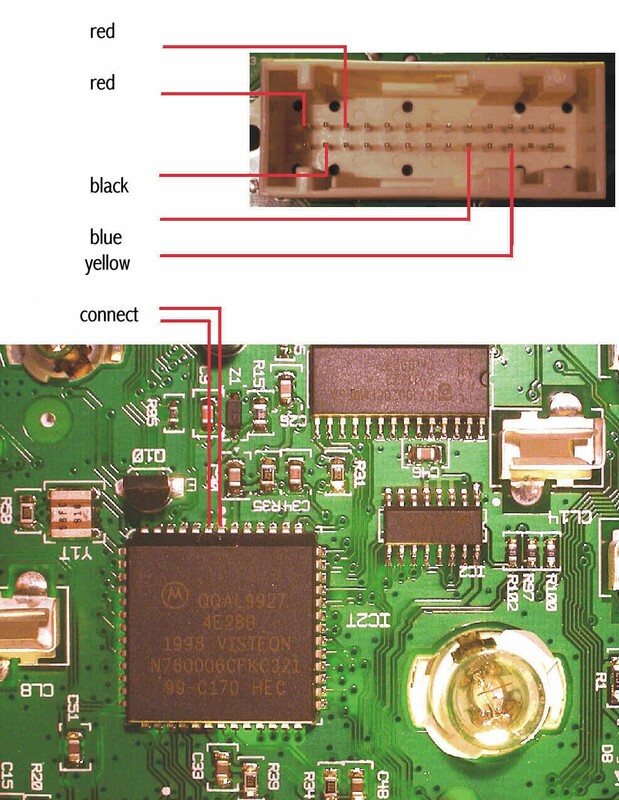 Put the brown or blue code plug on port 1. The pins of the code plug are marked on the bottom in the plastic. Pin 1 of the code plug must be positioned on pin 1 of the board. 5. 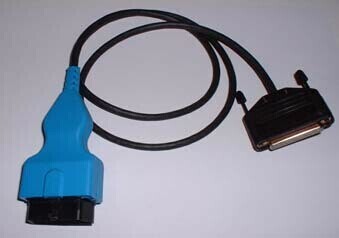 If the code plug is green, put it on the board “BMW green”. There you can also see the shape of the code plug Put the plug carefully on the socket. 7. The Tacho Pro 2008 Universal shows you the old value. 8. Select the menu Adjust KM. 9. Enter the new value. 10. Verify the new value with OK. This entry was posted in Programmeur de mileage, Soutien technique, Tacho Pro 2008 and tagged french obd tool, screen scanner, tacho pro u2008, universal odometer correction tool on December 6, 2015 by sales. • Connect Pin 1 ( left side down) and pin 2 (right from pin 1), or connect black to test point 3 (TP3). • Connect pin 1 (middle upside) and pin 2 (left beside pin 1), or connect black to testpoint 46 (TP46). • Connect the cables as shown in the picture. • The Tacho Pro 2008 July PLUS Universal shows you the old value. This entry was posted in Programmeur de mileage, Soutien technique, Tacho Pro 2008 and tagged french obd tool, screen scanner, tacho pro u2008, universal odometer correction tool on November 16, 2015 by sales. 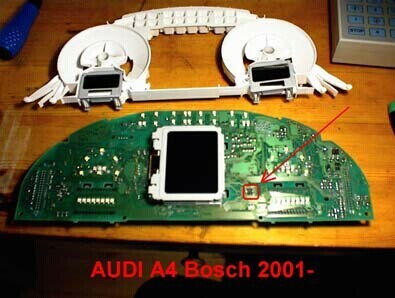 How to do Model Audi A3/S3 VDO model 2000 cluster plug with Tacho Pro 2008 July PLUS Universal? To recognize model 2000, take a look at the clock. If it is electronic, it is model 2000, if it is mechanic it is an older model. 2. Connect the blue and the green plug to the instrument. 3. 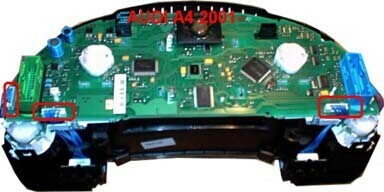 Select the menu Audi-A3-A3 2000-Diagnosis 2000. 4. The Tacho Pro 2008 July PLUS shows you the old value. 5. Enter the new value. 6. Verify the new value with OK. If the displayed value is not correct, you can continue programming, most time it works anyway. You cannot destroy anything. If you cannot change the value this way, you have to program by clip. This entry was posted in Programmeur de mileage, Soutien technique, Tacho Pro 2008 and tagged french obd tool, screen scanner, tacho pro u2008, universal odometer correction tool on November 1, 2015 by sales. 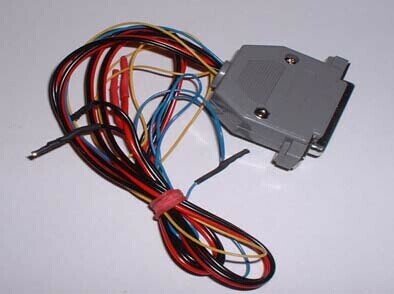 • Remove the motors carefully from the circuit board. Do not pull off the needles!!! • Look for the 8 pin chip 93C46. • Look for the silver chrystal and join its contacts. • Connect the clip to Port 1. 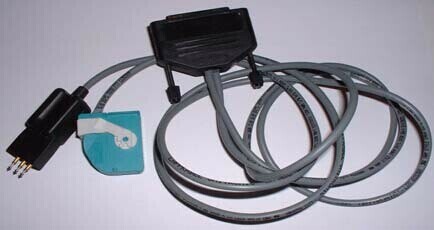 • Put the clip on the chip 93C46 (red on pin 1). This entry was posted in Programmeur de mileage, Soutien technique, Tacho Pro 2008 and tagged french obd tool, screen scanner, tacho pro u2008, universal odometer correction tool on October 13, 2015 by sales. 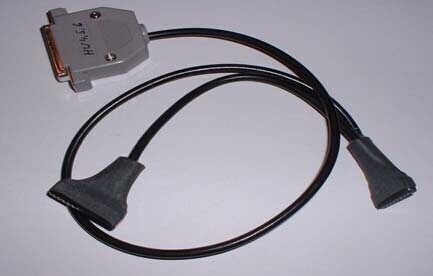 The diagnostic port near your left knee when you sit on the driver’s seat. 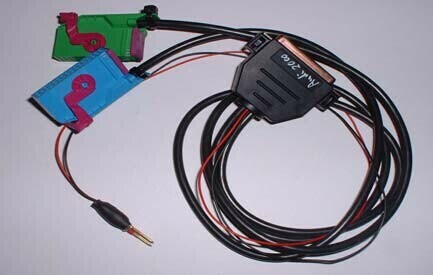 • Connect the Tacho Universal with the OBD II plug and the diagnostic port. • The Tacho Universal does not show you the old value. This entry was posted in Programmeur de mileage, Soutien technique, Tacho Pro 2008 and tagged french obd tool, screen scanner, tacho pro, universal odometer correction tool on September 13, 2015 by sales.